NTCC baseball moved to Paris Chisum High School to take on Bossier Parrish in a doubleheader. Wet field conditions forced NTCC to look for a turf field to complete the series. NTCC Softball games against Kilgore College were moved to Monday in Kilgore as well. Roberts places in Team Roping for NTCC. NTCC Rodeo traveled to Hillsboro, Texas to compete in the NIRA Southern Region Rodeo hosted by Hill College on April 5 and 6. The Cowboys and Cowgirls had to battle through the rain and mud on Saturday as storms rolled into Central Texas. Culver Roberts brought home the 8th place finish in the Team Roping to lead the way for the Eagles. As NTCC prepares for the final rodeo of the season, Ty Eason is sitting in 6th place overall in the Tie Down Roping, Slate Wiseman is 21st in Steer Wrestling, Cooper Christopherson is 21st in Team Roping-Header, Ty Eason is 29th in Team Roping-Header, Culver Roberts and Hayden White are 13th and 21st respectively in Team Roping-Heeling. For the ladies, Sassie Thompson is in 27th in Tie Down Roping, Alissa O’Dell is 24th in Barrels. Eagle Rodeo will travel to Wharton, Texas April 26-27 to compete in the Wharton County Junior College Rodeo to finish the Southern Region season. Eagle Softball Travels to Tyler Junior College. 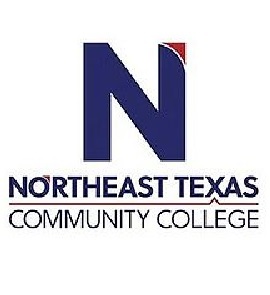 Northeast Texas Community College (9-21, 4-10) traveled to Tyler Junior College (39-5, 14-0) for a doubleheader contest on Friday. The NJCAA No. 3 ranked TJC Apaches took the opening game by a score of 8-2 and won game two 11-4. Kara Carter was in the circle in game one for the Eagles, going six innings. Carter struck out 4 Apache batters while giving up 6 hits and walking 6. TJC got on the board first in the third inning with back to back home runs to take a 4-0 lead over the Eagles. Korbyn Bassett answered back in the 4th inning with a home run to cut the TJC lead to 4-1. In the sixth inning, Ramzi Smith scored on a Shelby Baker Sacrifice fly to right field to add another run and bring the score to 5-2. TJC added 3 more runs in the bottom of the 6th to end the comeback threat. Baker and Bassett lead the Eagles offense with two hits each and one run batted in each. In Game two action, NTCC took an early 1-0 lead when the speedy Blakelea Nettles lead off with a single and then stole second base. Nettles scored two batters later off a Ramzi Smith double. Jamie Franks got the start in game two for NTCC and went 4 innings for the Eagles before being relieved by Mackensie Mankel. TJC got on the board with 3 runs in the second inning to claim a 3-1 lead over NTCC. Nettles got things going again in the third inning with a double of her own, and she scored when Smith homered to left to tie the game 3-3. The Eagles managed to score another run when Haley Chapa came in to pinch run for Haley Wilson who reached on an error. The Apaches took advantage of timely hits with some walks and scored one run in the fourth, three runs in the fifth, and four runs in the sixth inning to round out the day with the 11-4 victory over NTCC. Nettles and Smith led the way for the Eagles in Game two with 2 hits each and Nettles added a walk as well to reach the bases three times. NTCC will travel to Kilgore College Saturday for another doubleheader, weather permitting. Eagle baseball has moved to Sunday. We are hoping to play at NTCC, but that will depend on how much rain we receive Saturday and Sunday morning. Bossier Parrish Community College tops NTCC Baseball. 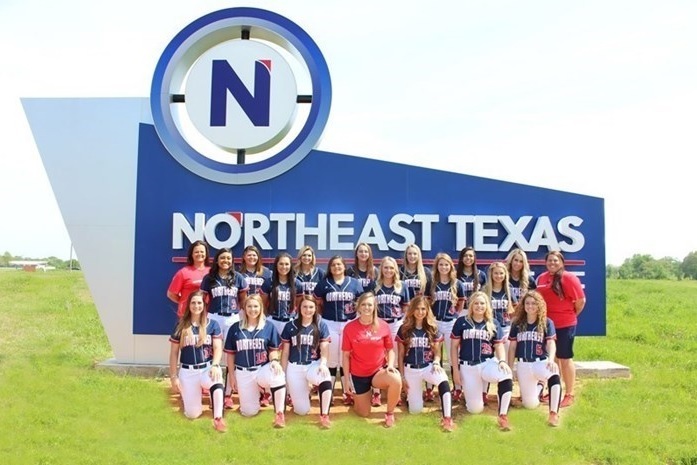 Northeast Texas Community College (10-20, 5-11) traveled to Bossier Parish Community College (20-13, 6-10) to start the second round of conference play. BPCC defeated the Eagles 7-4 to take Game one of the three-game series. Games two and three will be at Northeast Texas Community College on Saturday, weather permitting. Jordan Martinez took the mound for the Eagles going six innings, allowing five runs on eight hits and four strikeouts. BPCC took a 1-0 lead in the bottom of the first inning when leadoff hitter Kyle Jones scored off a double from Adrian Minjares. Bossier Parrish added another run in the 4th inning to increase the lead to 2-0. After falling behind 7-0, the Eagles offense got on the board in the 8th inning. Cody Cleveland plated John Pron who had singled earlier in the inning to cut the lead to 7-1. Jonathan Carrillo, Matt Scheurich, and Jake Chapman all scored in the 9th inning to bring the game closer, but the Eagles comeback fell short. Andrew Skivington, Carrillo, and Scheurich each had 2 hits to lead the offensive effort by NTCC. Hadyden Shaddix came in relief of Martinez to throw the final two innings for the Eagles. Games two and three of the series will start at 1:00 pm at NTCC on Sunday, April 7, weather permitting. You can check the NTCC athletics page for updates and schedule changes, www.ntcceagles.com.